Starting kindergarten is one of life’s major milestones. For children, the first few weeks or months of school can be stressful. It is a challenge for some to be away from their parents, interact with new people, and spend time in a place they’ve never been before. There are a few things parents can do to help their kids relieve anxiety as they start school and ease into the months ahead. Make sure both you and your child is ready for this new school year. Children are better able to adapt to new things if they have an idea of what to expect beforehand. Parents can help by sitting down with them and explaining what their new routine and new schedule will be like. It is helpful to tell the child what time school will start and end every day. It may be beneficial to show the child on the clock where the hands of the clock will be when school starts and when it ends. Parents should encourage their kids to express the way they feel about going to school. Children should for free to talk about the things they are excited about, and the things that make them feel worried. Sometimes, just talking is all that is needed to help relieve anxiety and first time jitters. Take your child with you as you shop for new school clothing, new school textbooks, and other supplies they will need. Use this time as a way to build excitement and enthusiasm about the upcoming school year. Prior to the beginning of the school year, it is a good idea for parents to have the children checked out by a medical professional. According to Dr. Bishop & Associates, emphasis should be placed on vision and hearing. Nothing is more frustrating for a child than feeling left behind because they cannot see what is on the chalkboard, or hear what the teacher is saying. A simple visit to a Calgary eye doctor may make the difference between having an enjoyable first day at school, and having a year full of challenges. An important part of a child’s first experience in school is making new friends. If possible, arrange for your child to meet some others who will be with them in school before the school year begins. This will lead to the child feeling less uncomfortable, and more at ease during those first few weeks in school. The vast majority of us look back on our first few weeks at school with fond memories. By following the above mentioned suggestions, parents can guarantee that their children will also have happy memories. How has your child adjusted to school this year? 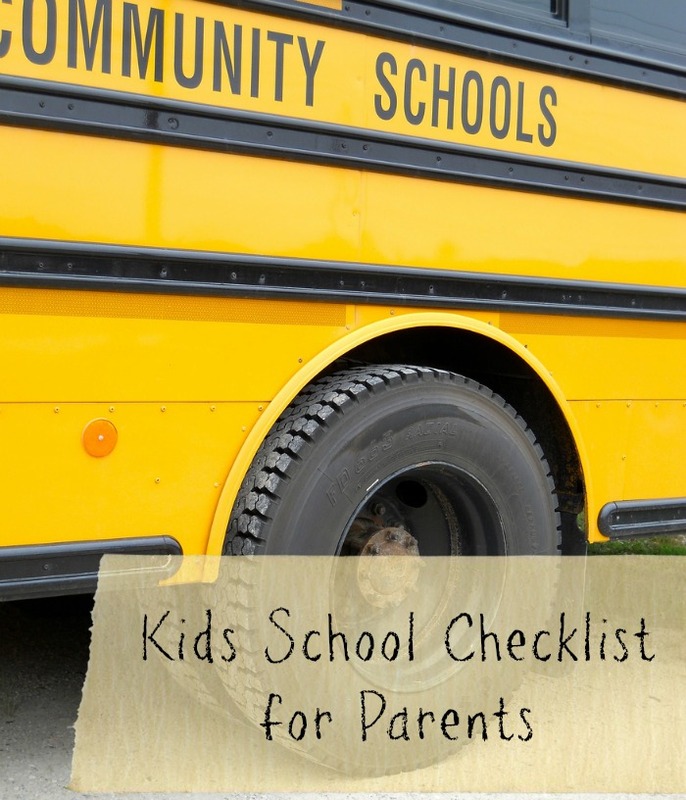 I think telling your kids what to expect is a big help in the kids adjusting to school. Another is meeting the teachers ahead of time. Kelly Hutchinson recently posted…Wacky Wednesday Weekly Coffee Sale! I agree with having your child be open. I tell my kids to always tell me when something is wrong. We made sure ours met other kids who would be riding the same bus. School wasn’t scary, but the bus ride was for them. These are all great tips! Thankfully my oldest has had a great transition. It helps to have old friends too! Hanan recently posted…What to Do With All That Halloween Candy? I agree with all these tips. I especially encourage my kids to express themselves. The fact that children have to worry about anxiety upsets me to no end. Childhood should be filled with ice cream, puppy dogs and laughter. Great checklist. My son is in a little program right now and it’s helping him get ready for Pre K 4 next year. What a great check list! Going to tuck this away for next year! I think my son has adjusted pretty well to school. He has been excited about school for a couple years before he even went, so I think it helped ease any jitters he might have had. Heather recently posted…Join the Jillian’s Beginner Shred Challenge! These are some great tips. My daughter had the worst time when she first went to school. Mistee Dawn recently posted…Bogeyman 101: A Guide to Bogeymen from Around the World by Karen Miller – Book Review. I think it is so important to talk about it. We take our younger kids to school with our older ones and that helps too.